A now bubbling-over MODERN SLAVERY scandal at the Bristol City Council property Brentry EPH run by ‘Blood’ Meridian Drivers Ltd in a (non-contractual?) sub-let with old friends Property Guardian Company CAMELOT, is currently primed to explode in our ‘zero tolerance for modern slavery’ vicar’s face. The BRISTOLIAN has learned that 33 migrant bus-drivers and cleaners were recently served with a ONE WEEK illegal eviction notice by their employer/landlord Meridian Drivers. Presumably Meridian feared an INVESTIGATION by Avon & Somerset into the EMPLOYMENT PRACTICES at Brentry, initiated by a report to the MODERN SLAVERY HELPLINE? This panicked attempt at eviction was stopped in its tracks by prompt action by a few workers/residents, who questioned the validity of the threat and reported it to council officials. Contracts for work and accommodation at Brentry EPH are conspicuous by their ABSENCE. The workers (mostly for First Bus) are fleeced £85 per week CASH-IN-HAND for a room by gang master ‘Dirty’ Dave Doyle, who then splits the (tax-free?) lucre between Scamalot and Meridian. Visitors to the Brentry complex report an atmosphere of fear and intimidation on the premises, most especially when Dirty Dave makes an appearance. In the midst of a conversation with one visitor where a worker/resident was complaining that ‘you under Camelot are being fucked.. but WE ARE BEING DOUBLE-FUCKED HERE’, Dirty Dave swaggered in and shouted ‘You shut up – I’ll DEAL WITH YOU later’. Woods was acting on the direct instructions of Bristol City Council’s highly paid property consultant BOB ‘BENT’ BABER of Bob Baber Associates who appears to have cut the Camelot deals for the council in the first place. Woods – once instructed by Bent Baber – then happily delivered the immortal words ‘GET THEM OUT BY THE END OF THE WEEK!’ to Dirty Dave. 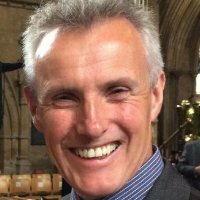 Meridian Drivers boss PAUL WATSON can be found on LinkedIn if anyone wants to ask him about the modern slavery RACKET he is running with Camelot at Bristol City Council’s Brentry EPH.